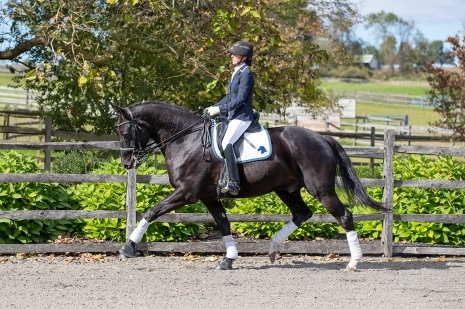 16.1h 10 year old mare shown successfully up through 2nd level with scores consistently in upper 60s and into 70s. Qualified this year with both AA and Professional for USDF regional championships. Previously, shown at regionals at Training with placings and year end breed awards. Schooling all 3rd level movements. Great at new places — Ava loves the show ring!!! Safe and sane for an adult amateur. Loves to be groomed and fussed over. Great ground manners.